"Acceptable, but not exceptional "
In his day, Howard Hughes was a fascination to the world, because of his business success, aviation prowess and his eccentric and reclusive manner. He has been the study of authors and directors for years. Is a new generation of cinematic viewers ready for more of his story or has his appeal faded with time? During the late '50s in Hollywood, life centered on blond, buxom starlets, big named studio bosses and young women who were looking to get their names in lights. 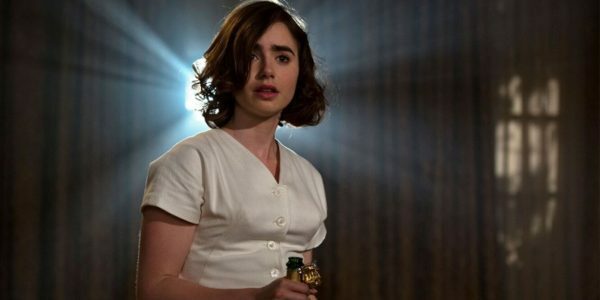 Marla Mabrey (Lily Collins) was a small town beauty queen who traveled with her mother to tinsel town to work at RKO studios for the eccentric billionaire, Howard Hughes (Warren Beatty). Lucy Mabrey (Annette Bening) chaperones her naive daughter to protect her1 in this depraved atmosphere and help her to maintain her strict Baptist sensibilities. 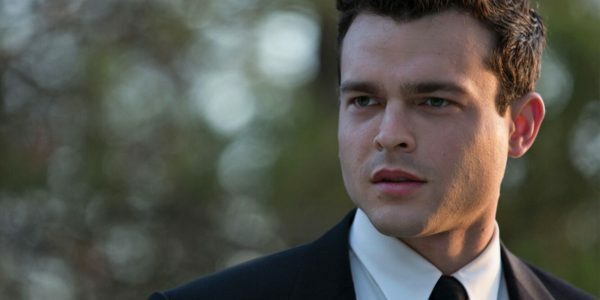 Frank Forbes (Alden Ehrenreich) has been assigned to drive Marla to singing, dancing and acting lessons. Due to his Methodist upbringing, a fiance back in Fresno and the strict company code to not fraternize with the actresses, he tries to keep his distance from the young aspiring actress. They both come to realize that working for the peculiar business mogul forces them to make some harrowing life decisions. The bizarre work atmosphere gives them a common bond that draws them together and causes them to have to determine if they should risk their careers for the sake of young love. 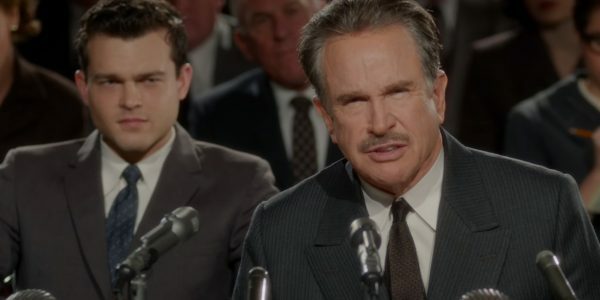 It has been 16 years since Warren Beatty (Bulworth) directed a major motion picture and this fictional adaptation of the billionaire's life could be interpreted as a vanity project. He wrote, directed and stars in the biopic, but it should be interpreted as more of a long-suffering passion than sheer vanity for the celebrated film veteran. He has been trying to get Howard Hughes' story to cinemas for years and his commitment has paid off for his young stars. This is truly a vehicle for Alden Ehrenreich and Lily Collins to further on their careers, more than a celebration of Beatty's long-awaited production. His reputation alone has helped Beatty to surround these budding stars with more star-studded cameos than the last Muppets movie. They support the love story of these seemingly innocent individuals who manage to mature on screen through the crucible-like experience of working with the eccentric world of Hughes. When the spotlight is on them, the film soars but when the light turns to the life of Hughes it loses altitude. What begins as fun and romantic turns into a laborious docu-drama when the focus moves from the star-crossed lovers to the seasoned director's fascination with Hughes. In his extensive study, Beatty attempts to provide a glimpse into the spiraling effect of the mental illness and drug addiction that plagued the man, but it puts the emphasis in the wrong place. This was handled effectively by Martin Scorsese in The Aviator and there is no new ground with Beatty's creation. The style, comedy and cast provide a wonderful platform for throwback cinematic experience, but when Beatty becomes the focus, he loses his way. Like the seemingly schizophrenic life of Howard Hughes, Rules Don't Apply suffers from wanting to be two different films at the same time. This confusion leads to an acceptable, but not an exceptional outing for this accomplished director.